Yesterday I spent the day at a workshop run by Ineke Berlyn at her studio. We were learning how to make a Scroll Book. You can learn online if you wish. I used Thermofax screens to print on some plain calico using fabric paints. I layered up bits of fabric. And then I started sewing. It isn't finished yet and I don't know whether I will because I am inspired to make a different one with different fabrics. I'll let you know what happens! The theme for week 4 of Take Me Deeper is Transform Faithfully. I like to read the devotion and then start on the background of my page. It may take a day or two do produce as I do a bit and then walk away for a bit - or several hours - and come back and do a bit more. On this double page I put a variety of washi tape. Then I put some gesso over the top leaving the marks in it for extra texture. I rubbed two Distress Ink pads over the dry gesso. And then tried to blend the colours with a wet wipe. However that mostly took the colour off because of the gesso underneath. I put some colour on and didn't try to blend it. Yet again at this point I wasn't very impressed but battled on adding colour through stencils. I kept with the three colours of Distress Ink. Then I stamped the butterflies randomly on the page. My usual problem is that having made a background, I like it too much to put anything on top. However since I still wasn't enamoured it was much easier to draw the boxes and put a thin coat of gesso over the spaces inside. I stuck some sticker letters down. This verse had stood out in my reading - mostly because it was mentioned by the guest preacher at church on Sunday. I don't usually decorate the covers of my journals until they are finished but last week I was watching a Ronda Palazzari video on Creative Jumpstart and it inspired me to the cover of the Dylusions journal I am using for Take Me Deeper and Logos365. Here it is in its plain state. This is the version that is slightly bigger than 11x8. I glued some wooden butterflies onto the cover. I painted over them with gesso. I applied various colours of acrylic paint with a dry brush. You can see the scissors holding the elastic up from the book. At this point I didn't like how bright it was so I brushed on a light layer of gesso. I painted the butterflies with turquoise pearlescent acrylic paint. After 2 days of looking for the gilding flakes I eventually found them and glued them to the butterflies. I thought the acrylic background looked to matte so I put two coats of Gloss Multi Medium over the top although you can't really tell in the photo! I don't think it's finished but I shall leave it now until inspiration strikes again. It may be that I only add the numbers 2015 to the bottom left hand corner. 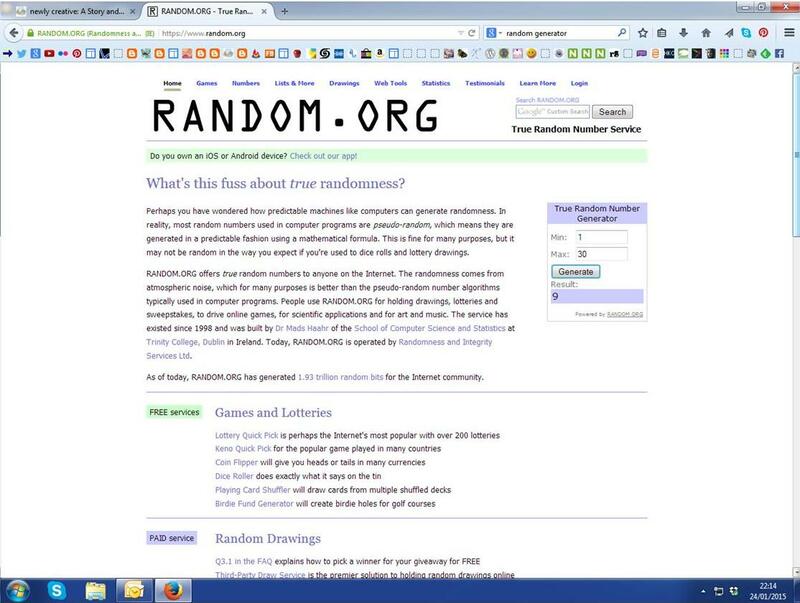 Mr Random Generator picked number 9 from the 30 people who made comments on my story about His Kingdom Come. WOW what an amazing sequence of events I hope you enjoyed it and weren't too daunted. I had no idea so much was going on - thank you for sharing your time with me whilst I dithered about my faith and commitment and thank you so much for giving me the push when I needed it. I'm having an interesting journey myself via HKC and learning so much about what I have hidden inside of me and I have never had the courage to tap into. It's a wonderful community and I've probably only touched the tip of the iceberg! Please email me with your name and address and the word or words you would like stamped on the wing. Thanks to everyone who left such lovely comments. The whole team are thrilled that you are part of our community. The theme for week 3 of Take Me Deeper has been about submission and although I had done the background of the pages in my journal quite early on, it has taken all week to submit to the journaling. Firstly I tore up some pieces from an old map and stuck them to the page and covered them with a thin layer of gesso. Then I dry brushed two colours of acrylic paint over it. I added some copper coloured paint when the blue and green had dried. Using two colours of Distress ink I stencilled on the top using 3 different stencils. I drew the journaling boxes and put a thin coat of gesso so I would be able to write on top. I stamped the letters with Ranger Archival Ink and coloured them in with a black Glaze pen. This photo shows just one coat of the Glaze. If you allow the Glaze to dry you can do another coat on top. This actually has 3 coats. I had wanted to use my turquoise Glaze pen but it had dried up! When you put 3 coats on like this, it looks as though you have enamelled it. I drew round the black Glaze with a white pen and added some white elsewhere on the page. I wrote my journaling. I printed out the verse, cut it up and edged it with Distress Ink before sticking it down. Onwards to week 4! See you next week. Sometimes we quote Bible verses and agree with them but perhaps don’t really believe them because we haven’t seen God at work in the way the verse says. It’s a long story, so grab yourself a coffee, sit in a comfortable chair and get ready to see what God can do! I have been running online art challenge blogs for a while and then started to host online creative Bible Studies. Since I started these challenges I had wanted to do an Advent one but it probably took me 12 months of thinking about it before I could see how it could work. In 2010 I came across Diane Marra in an online Christian community and she shared an Advent Study. It was one of those projects that I started and didn’t finish. I started to follow Diane’s blog and one day she wrote about how she was moving to Palm Bay in Florida. That’s Palm Bay, not Palm Beach! And not so many people have heard of Palm Bay. But over here in the UK, I had. Because my daughter-in-law’s parents are Pastors of a church there and I go to visit them regularly even though my son and d-i-l live in Australia. At the beginning of 2014 I contacted Diane to see what she thought about collaborating with me for the Advent blog – her study and my ideas for an Advent calendar. In the April I went to stay in Palm Bay and was able to spend the day with Diane. We talked about the ideas for Advent and worked on it over the following months and it launched on November 1st 2014. Whilst I was with Diane she talked about how she wanted to set up a year long, weekly devotional for creative people and left me to think about it and how we could make it work. We had both done the Documented Life Project and I was really stuck as how we could develop something that wasn’t a faith-based copy of that. I thought about it on and off from April to August and then one day as I was out walking I asked God about it. Of course I know other people would have asked God earlier in the thinking process but hey ho I’m not one of those people. And immediately I knew what we were supposed to do. Now this wasn’t the audible word of God, or a sign in the sky or a ‘thus sayeth the Lord’ moment – it was a thought that germinated and grew and that I felt a peace about. It was that rather than just a faith based project we should set up a faith-based online Christian Community run by a team of people not just Diane and I. Whoa! This was way beyond anything I could imagine or ask for but nevertheless I continued to think and pray. I started by contacting a few ladies whose blogs I have followed for quite a while about their church backgrounds and ran the community idea past Diane. She encouraged me to send an email giving a brief outline and asking these people if they were interested. I was amazed by the responses I got. God had got there before me and they were excited by the prospect. Diane invited another two ladies to the ‘table’ and emails were flying about the States, Canada and the UK discussing Statements of Faith, the structure of the group, how we would host it etc etc. I didn’t want to rush people into things so I was taking it quite slowly but then Diane and Shonna ‘caught fire’ and with my blessing they started to plan the Ning site – we actually took over Shonna’s existing Ning site. 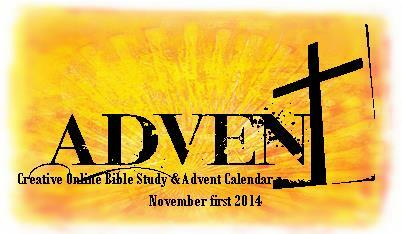 Meanwhile Diane & I were still planning the Advent blog which we planned to run from November 1st. And then it was decided that His Kingdom Come would be launched on the same day. The Foundation Team has eventually settled down to a small team of people who are building relationships together and we are planning to get together in April. We are currently reassigning roles amongst us but we would be nowhere without those who work in the background – often unsung! Merri works with Shonna on keeping the Ning website going and she sends out the newsletter and the emails. Communication is so important in building a community! Mary is looking after the weekly devotionals and making sure our theology is sound. She keeps us on the straight and narrow. We all have more roles but I don't want you to drop off before I get to the end. We knew however that we would need lots more people to help us run the groups on the site. Part of the vision had been to have all sorts of different groups for different types of media. Currently we have groups for Photography, Textiles, Mixed Media, Art Journaling, Digital Art Journaling, Bible Journaling, Scrapbooking and Creative Writing. I’m hoping at some point we will have a group for songwriters. And so we started recruiting Moderators or Hosts for the groups and they have definitely been a gift to us from God. Our plan was always to host both free and fee-based online courses within the community and we are just beginning to see that happen. On January 2nd we launched the project that had started all this – Take Me Deeper – 52 weeks of devotionals. In order for the site to receive money Diane & Shonna set up an LLC which will deal with the tax situation in the States. I would never have thought of that. Admittedly at the moment I don’t think we’re going to trouble the IRS too much as currently the site is running at a loss. Ning is quite expensive to run and setting up an LLC isn’t cheap. However God has it in hand. My vision was for a small community – cosy and manageable! But that wasn’t God’s plan and here we are only 12 weeks since the launch and we have nearly 1550 members in our His Kingdom Come community. And he has put together a team of people to run it who have complementary skills. So let’s return to this: ‘God can do anything, you know - far more than you could ever imagine or guess or request in your wildest dreams!’ God has done something amazing beyond my wildest dreams and we are praying that He will continue to move the community forward. We want to see a grace-filled community where Christians can encourage, share, and learn about Christianity and explore the God-given creativity that he has put in us all. And we believe that is His plan. Well done if you've made it this far! 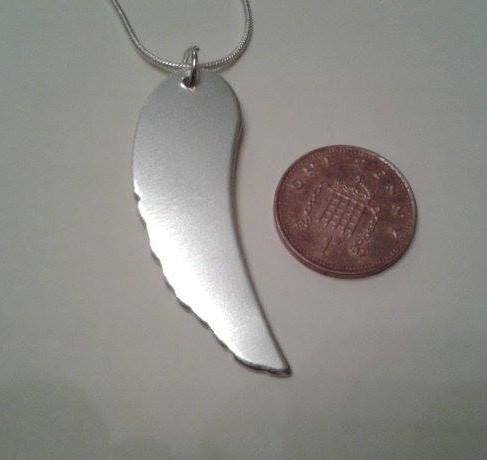 Leave a comment below for the opportunity to win this aluminium 'angel' wing pendant with a chain. The winner can choose a name or a word to be added to the wing to personalise it and also choose the length of the chain. You can choose from a 16", 18" or 20" chain. The pendant comes from Jo's Handmade Jewellery. I'm happy to post to anywhere in the world. I will announce the winner on Sunday 25th January. Update: This giveaway is now closed. Click here to find out the winner. I am hosting another online creative Bible Study through the month of February. You can find out about it here: The Father Heart of God. The Bible Study will be on The Father Heart of God blog and I will be showing my creative response to it on this blog. For this study I decided I would use a zigzag (accordion fold) booklet I already owned. I wrote about using one of them here. I found a Strathmore mixed media sketchbook I owned and pulled out 6 pages. On one piece of the paper I worked out how I was going to use the paper. The booklet is six inches square so I cut the paper down to 5" wide. With my score board I made a score line at ½" and 5 ". By folding only on the 5" score and folding the paper under you get a 5" square. The ½" score line is so I can glue that strip to the booklet. I decided to use watercolour paints but these techniques will work just as well with waterbased inks. I just feel I have more control over the paint. I used some cheap watercolours I bought in the States. I spritzed water over two pages and added some watered down colours to the page. I spritzed with water again and moved the papers around do that the paints ran into each other. I pressed two different types of bubble wrap onto the paper and left the paint to dry. I spritzed and added paint in the same way on the next two sheets of paper. This time I pressed scrunched up cling film on top. The final page had water and paint added as before. And then I pressed a scrunched up carrier bag to this page. I saw this in a Creative Jumpstart video by Catherine Scanlon although she did it with watered down acrylic paint. Here are the results when all the bubble wrap had dried. I moved on to the back of the papers making sure the first side was totally dry. I didn't use the bubble wrap this time. You may have noticed I worked on the papers without cutting them down to size. I left them uncut so that it didn't matter whether I went off the edge and also that when I came to add another layer I would know which way up the paper went. When all the papers were dry I chose one colour of Distress Ink. I love the combination of turquoise with pink and orange but if you use turquoise and orange in wet paint you get brown. This way you get the clear paint colours and a clear layer of turquoise. I selected a few stencils and a piece of punchinello (sequin waste). I randomly added the stencilled areas over the papers. Then I scored and folded them. I sorted out which order they will go into the zigzag booklet. I used another stencil and 3 colours of Distress Ink on the front cover. I haven't stuck the painted papers in yet so that I can work on each one for each session of the study and stick the page in using doublesided tape. I do hope you will join me on this journey to find out more about the Father Heart of God.